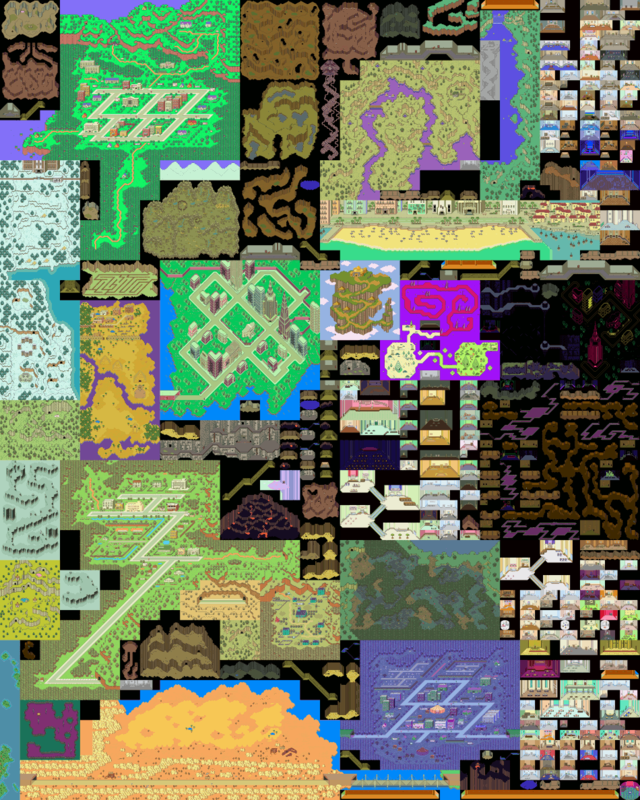 All of the locations and rooms in EarthBound are actually stored as one giant map, which is why you see all of these MOTHER 1/EarthBound Zero maps arranged this way. Later, a lot of the blank areas will be filled with indoor maps, like the insides of houses, buildings, dungeons, and the like. If you want to keep up with more detailed progress of the project, keep an eye on this forum thread! Congratulations! This is such a big milestone for this project. I can’t wait until its finished. 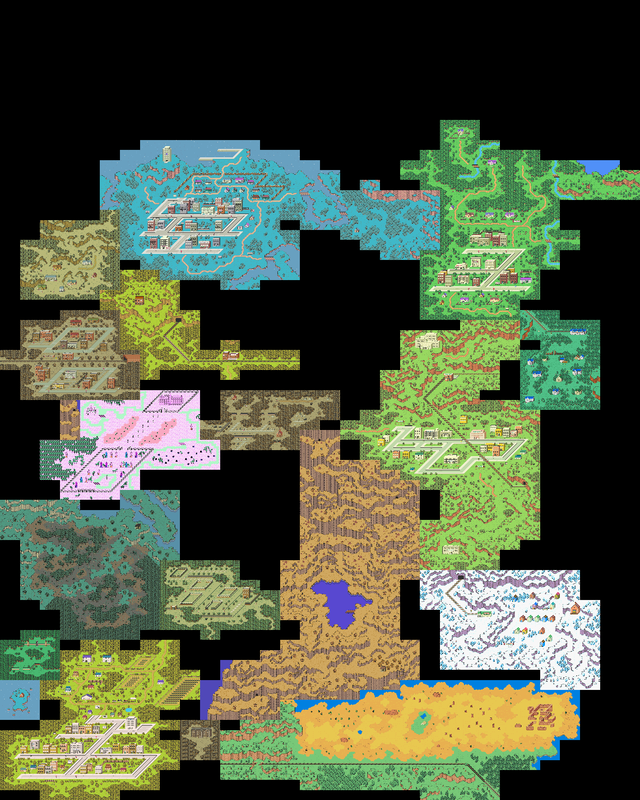 I’m impressed by how faithful they’ve managed to remain to the appearance and layout of the areas given the constraints of Earthbound’s maps. That must have been tough as hell. Wow. This is seriously impressive. Good show. Most days, I feel my maps are pretty okay. 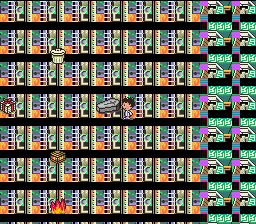 But in comparison to H.S.’s work, they are merely smatterings of pixels within the EarthBound rom. It’s nice to see the progress! 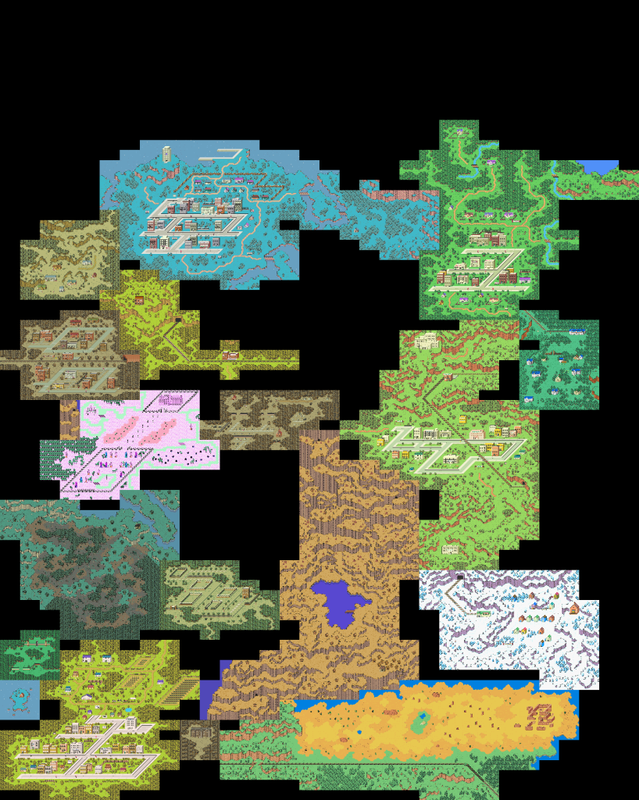 Finishing the overworld is a big step, and will help the project gain even more momentum. Looks incredible. Can’t wait to play it. Dude. What IS H.S. anyway? How does he manage all this epic-ness? So awesome!!! And there still seems to be plenty of space left for the dungeons and houses. I’m getting interested in seeing how the text and story stuff is coming along for some reason now, though… Haha! Great stuff! This is looking really good so far! 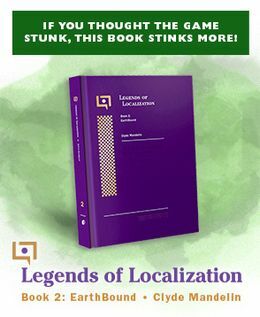 I can’t wait to play it! 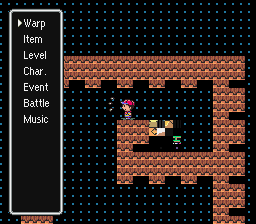 When they finish this, does anyone know if they will be using the EB0 translation, the Mother 1+2 translation, or a completely new translation? I’ll admit I never really thought much of the idea of an EB remake of Mother 1, but this is some pretty dang good work that captures some part of the minimalist aesthetic of the original game. Mother 1 was always my favorite, so I’m looking forward to seeing how this further unfolds. I am still looking forward to this, even if it is many years away. I’m assuming that the maps they made are just the locations, right? By that I mean they have all the areas and buildings in the right place, but none of the people and dialogue (not to mention story triggers, etc.). good hack work always impresses me, i’d love to learn someday but for now i’ll appreciate everyone who can do it. awesome stuff guys! !